There’s no doubting that the fictional Null Island concept has lots of fans. 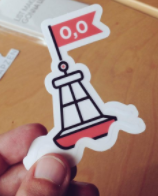 Null Island stickers were a popular giveaway at this month’s FOSS4G conference in Boston and the island was referenced, just for fun, in the slides of several talks. 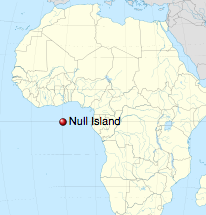 Null Island even has its own Wikipedia page. But you wouldn’t ever want to live there. 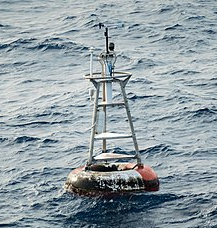 In the real world, the only thing at Null Island’s location in the Atlantic — Latitude 0, Longitude 0 — may be a weather buoy. It sounds like a wet, cold, and lonely place. Null Island makes for a great metaphor. It’s the geographic location that computers may use for an incident, event, or object in the real world when they don’t have any more detailed positioning. That rural business you can’t find on your favorite global mapping platform — it’s on Null Island. The accident at a new home under construction — unless the 911 center had it in their maps already — it likely happened on Null Island. You get the picture. And it might as well be the location used when geographic data is incorrect or out-of-date. No doubt, Null Island is the site of many wonderful happenings, but it is also riddled with crime, delayed emergency response, health maladies, and voters without representation. Null Island is a beloved mascot, but it's a mascot for a problem that needs to go away. Not to rain on the Null Island parade, but it’s safe to say that the geospatial community is united against Null Island. The weather buoy can stay, but we all hope for the day when geographic location is stored and conveyed at the precision that is needed, so that nothing makes even a brief figurative stay at the island. That’s why NSGIC has consistently advocated for a National Address Database that contains the latitude and longitude for every public address in the country. Progress is being made toward this goal within many state and local jurisdictions, but there is still much work to be done nationwide. 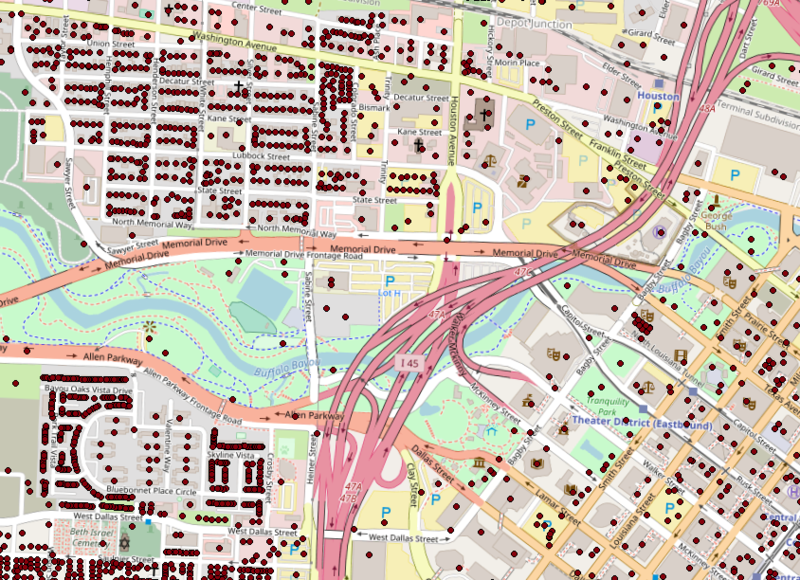 The benefit of address point GIS data cuts across NSGIC’s ‘For the Nation’ advocacy areas for Next Generation 911, Emergency Preparedness, and census/elections management, to name a few. Address points are key reference data for finding addresses, navigating to buildings (especially on large properties or campuses), and they make for great check lists for notifications and searches. Disaster response is among the most compelling of the many use cases for address points. We expect that there will be many stories from Hurricane Harvey where existing address point map data helped to make the difference. And, sadly, there are likely communities, businesses, and families being adversely impacted where this critical information resource doesn’t yet exist. Here’s hoping that Harvey dissipates posthaste and life in the Houston area and communities in the over 50+ effected counties, starts to quickly trend back to normal. Along the way, we certainly hope that as few residents as possible are stranded due to Null Island issues during the ongoing rescue, assessment, and recovery efforts. Lastly, let’s all hope that the geospatial community gets the support needed — across the local, state, and national levels — to build and sustain the critical address reference data that will put Null Island issues permanently out of business.